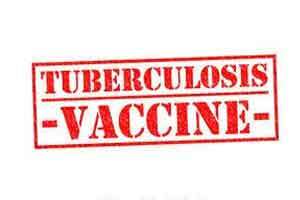 London : A team of scientists led by Oxford University has made a discovery that can improve chances of developing an effective vaccine against Tuberculosis (TB). The researchers identified new biomarkers for TB which have shown for the first time why immunity from the widely used BCG vaccine is so variable. The biomarkers will also provide valuable clues to assess whether potential new vaccines could be effective, the team said. TB remains one of the world’s major killer diseases. The only available BCG vaccine works well (estimated 50 percent effective) to prevent severe disease in children but is very variable (0 percent to 80 percent effective) in adults. With a pressing need for a TB vaccine that is more effective than BCG, the Oxford team working with colleagues from the University of Cape Town and the London School of Hygiene and Tropical Medicine set out to identify immune correlates that could facilitate TB vaccine development. The team, led by professor Helen McShane and Dr Helen Fletcher, studied immune responses in infants in South Africa who were taking part in a TB vaccine trial. The team carried out tests for 22 possible factors. “These are useful results. They show that antigen-specific T cells are important in protection against TB but that activated T cells increase the risk,” explained professor McShane from Oxford in a paper that appeared in the journal Nature Communications. “For the first time we have some evidence of how BCG might work and also what could block it from working. Although there is still much work to do, these findings may bring us a step closer to developing a more effective vaccine for TB,” added Dr Fletcher from the London School of Hygiene and Tropical Medicine. The team is working to develop an effective TB vaccine aimed at protecting more people from the disease.